Are you sprouting a new business and looking to minimize your startup investment? Is your organization falling on tough financial times, driving the need to cut back on marketing costs? Or maybe you have been offered a free website as part of a supplemental marketing campaign related to ‘phone directory’ advertising. As with anything in life, if it sounds too good to be true, it probably is. In our business, we hear this literally every day. Free websites are extremely tempting and a seemingly viable option, particularly if you are looking for a quick fix. Many free website companies offer acceptable looking design templates with a clean and professional look that can meet the expectations of most who sign up. There are those who believe that something should be better than nothing. It goes without saying, there’s a long list of strategies that free website companies use to become massively successful organizations and it’s why “free” somehow equates to millions of dollars in annual profits. These organizations are banking on what you don’t know about Internet marketing and website design. Yes, the website may be free but the hosting certainly is not. Oh and, by the way, you will pay handsomely for this service. While setting up your own hosting could be arranged for as little as a few dollars per month, you can expect to pay at least 10-times this amount through free website builders and often times you will have no choice. Also important to know is the entry level, economy plans are very limited and chances are good that you’ll need to upgrade, particularly for e-commerce. In addition, necessities like registering your domain name will be offered at top dollar. Yes, it’s true. The only thing worse than hosting ads on your company’s website is doing so for your own competition. Many free templates are host to Google and Bing display ad networks, where you risk the possibility of displaying an ad, such as a pop-up, for your competitor -on your own website. Just imagine. At the very least, you can bet there will be an advertisement on your website’s footer, telling all of your visitors and potential clients that you’ve employed a “free” service to build your website. Yikes. This is a clear demonstration to some that you’re operating on a shoestring budget and your own company isn’t worth investing in. That’s right. The sales strategy behind “free website” offers starts the moment you click “go”. You may then discover that you are a permanent resident of the domain you reside in and the content and graphic design elements are not transferable. Free website companies are counting on your lifetime support, either through revenue gained by delivering their advertising, or through your monthly dollars for hosting and other upgrade schemes. They will do whatever it takes to protect their assets and business, including making it very difficult for you to cancel your agreement and move out. Signing up is far easier than canceling. Read the fine print. Using a free service to register a domain name and establish a web presence usually means the service will get to attach their name directly onto your URL. This of course means that the name of their company will piggyback on all of your promotional materials, not to mention the abnormally long web address. Your URL might look something like this: www.ABCCompany.XYZWebsites.com and your beloved clients might need to email you at info@ABCCompany.XYZWebsites.com. Potential clients may not take you seriously as a company, resulting in lost opportunities for you, virtually defeating the purpose of even having a web presence. If you’re at all concerned about ranking your website for keywords that people may use to find you, the “free” route isn’t your best plan. This is largely because critical areas of the website such as page titles and URLs may not be areas that you are able to modify in templated, free design themes. Many experienced web developers are challenged enough properly optimizing a website for search engines – imagine someone building a website for the very first time. No organic keyword rankings could mean a website void of any visitor traffic – but maybe your mom will be proud. Major search engines, such as Google, will judge you by your domain name. By nature, even the most well intentioned, free websites don’t stand the tests of time. Many are created and, in short order, abandoned. If your domain is rubbing elbows with other fly-by-night websites, chances are you won’t score too well in the ‘trust’ and ‘domain authority’ departments, regardless of content quality. And since technically your domain name is just a ‘sub-domain’, in most cases, search engines won’t recognize your site as an independent resource for trustworthy information. Can’t quite get the page border the proper shade of red to match your company logo? Need to make your page font a wee bit larger? Free domain companies are banking on your desire to get your website looking just right and are known to charge top dollar for even the most minor modifications. Special requests, template modifications and custom features are really where the money is made. Either you’ll need to get comfortable with a website that isn’t quite to your liking or shell out big bucks to upgrade a website you’ll never own. This is partially why so many abandon DIY websites, forfeiting their valuable time and energy in the process. When it comes to large corporations turning profits with ‘free products or services,’ it’s all about the art of the up-sell. Free plans are designed to be very limited and often prove to be pointless. It won’t take much to reach the well defined limitations of the entry level point “free” product. Free or economy plans often restrict page count, bandwidth, memory and/or visitor traffic, leaving you with little choice but to upgrade (again). Remember, you don’t have to upgrade if you don’t mind setting limits for your creativity and user experience. Lame. 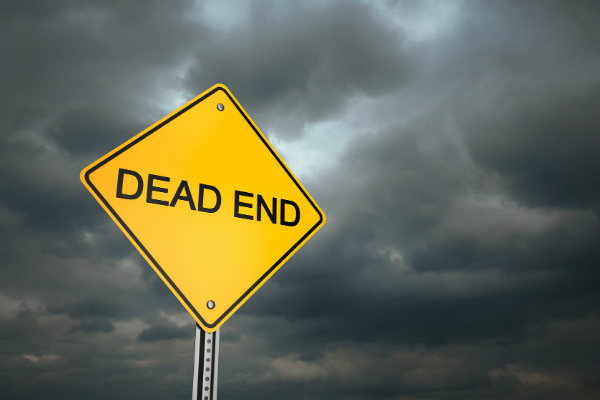 Inevitably, most business tools will not stay free forever. You may eventually experience a ‘pay or get out’ fork in the road, just like the thousands of frustrated, would-be webmasters before you. Countless free websites have graduated to a pay only option, and you should be prepared to receive that email justifying why you now need to pay for your free site. You’ll need to decide whether to pay up or abandon the entire website, along with all contents, traffic and domain name. We’re willing to bet that the time spent trying to figure out how to create a website complete with original content, images and graphics, would be better spent running your business. The same goes for anything you try and learn to do yourself, compared with hiring a professional who already knows how. Sure, you’ve dodged another invoice with the DIY solution, but chances are good that you’ve stunted the growth and development of your company. Heartbreaking but true: you’re not a web designer. You may have experience helping others creatively, or perhaps you have an artistic side and like the idea of trying to create a website. But creating a web presence for your company takes a trained professional; one who understands how your business should be seen online. The Internet is a powerful means to promote your business worldwide and it’s an opportunity that should not be squandered. If you have your doubts, if you believe that the web does not offer a marketing solution for your business, it might just be that you haven’t had a conversation with someone who sees your company’s full online potential. Start the conversation. Get in touch with us now.